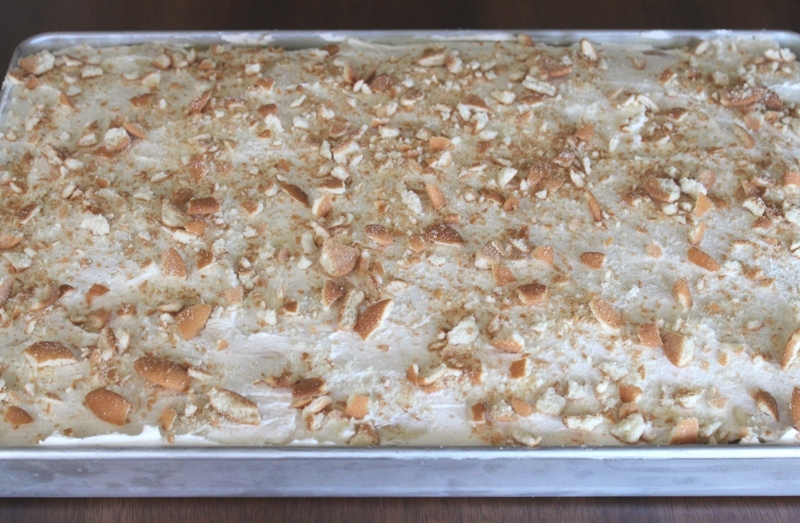 Banana Pudding Cake | Rosetta Bakes! 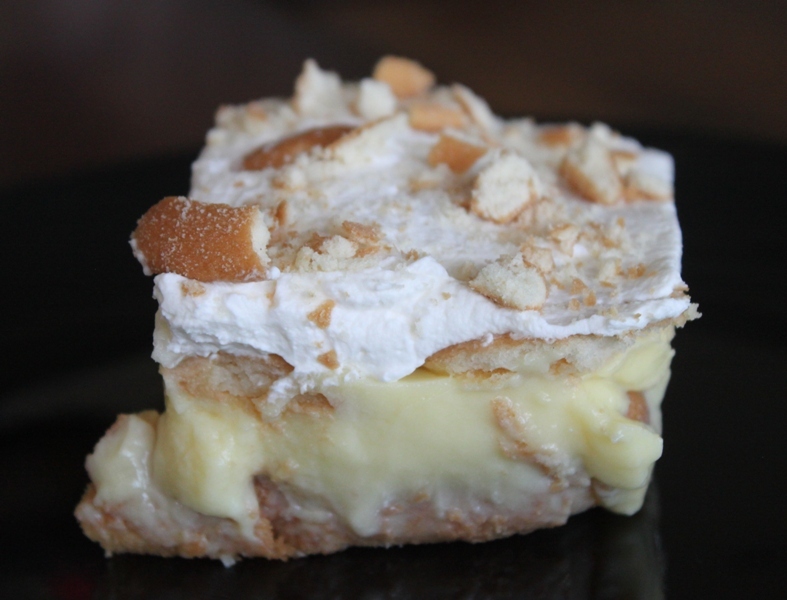 Here I was again with on over abundance of bananas that needed to be either eaten or used in baking before they turned dark…so, when I saw this recipe on Pinterest, I had to give it a try, besides it looked delish! I just happened to have all the ingredients in my fridge to make it! 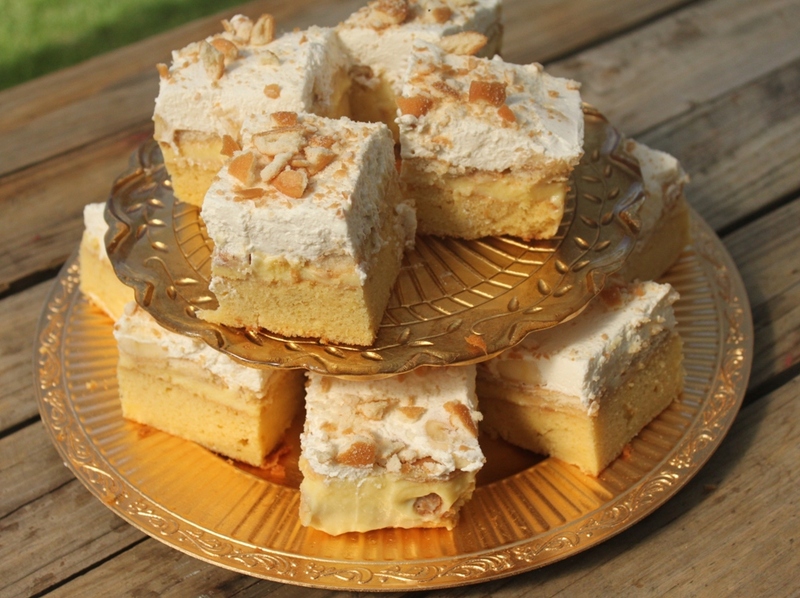 If you like banana pudding, you should love this cake. This recipe uses a boxed cake mix, but you can certainly use your favorite yellow cake recipe instead of boxed. I took this cake to work and to several of my neighbors and they loved it! It’s a great cake for any time of year, but especially when it’s hot and you want something cold and yummy! This is also a great cake to take to any gathering. I hope you enjoy it as much as I do…and my co-workers and neighbors. Bake cake in a 9×13-inch pan according to directions on the box. Remove the cake from the oven and poke holes all over the cake with a wooden spoon handle. Whisk together pudding and milk. Pour over cake, making sure it gets down in the holes. Put a layer of vanilla wafers on top of the cake. Put cake in the refrigerator and allow cake to cool completely. 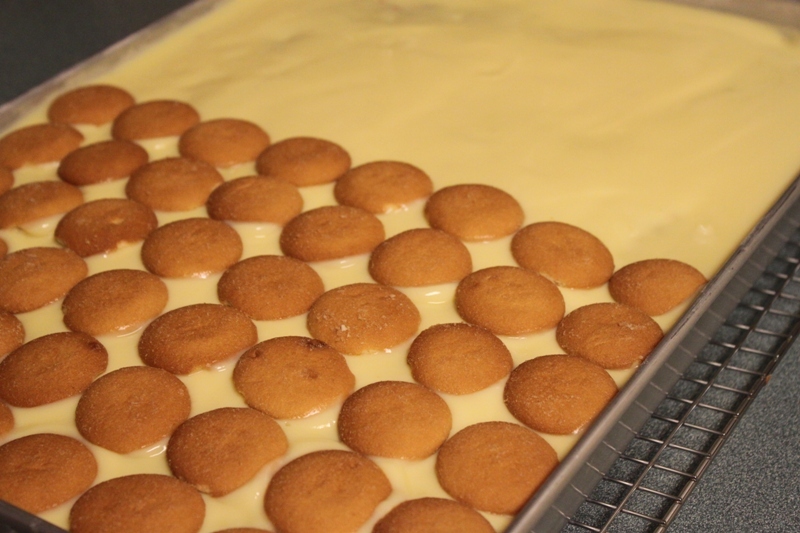 Once cake has cooled and pudding is set, slice bananas and layer on top of the vanilla wafers. The Country Cook who saw it on Pinterest.